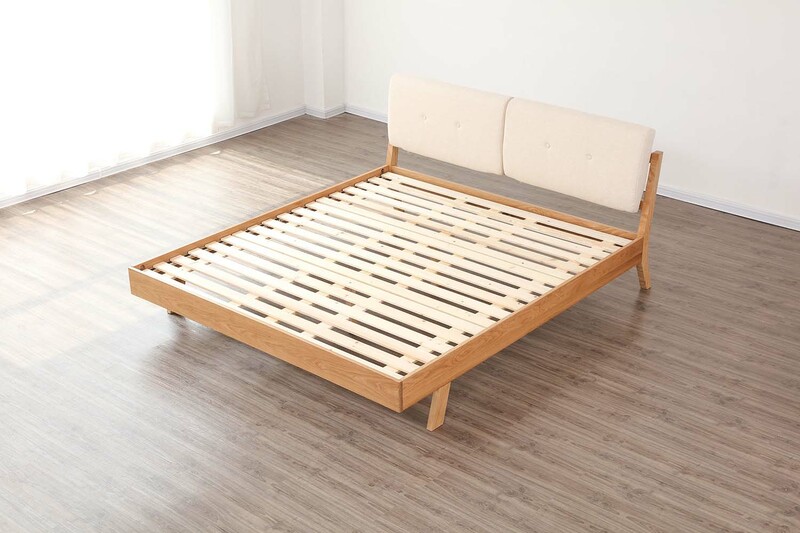 The Nara American Oak Wood Bed Frame with Cushions is made with high quality solid American Oak Wood. 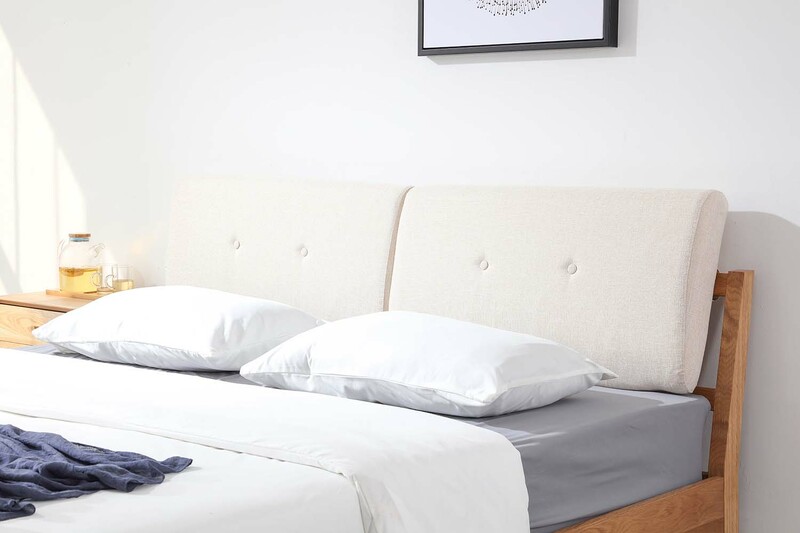 Cushions at the headboard prevents direct contact with the wooden headboard. Cushion covers can be removed for washing for better hygiene. 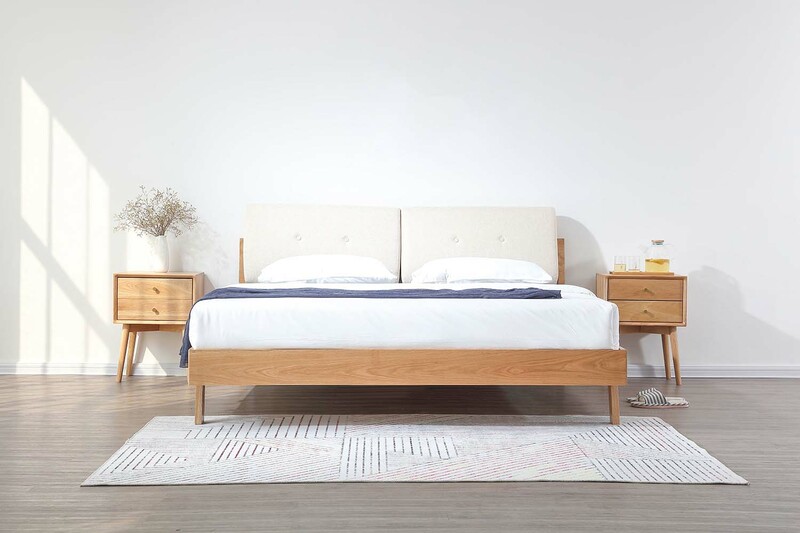 Strong and beautifully minimalist, this bed is sure to turn heads in the bedroom. An excellent choice if you are going for a timeless Scandinavian style. 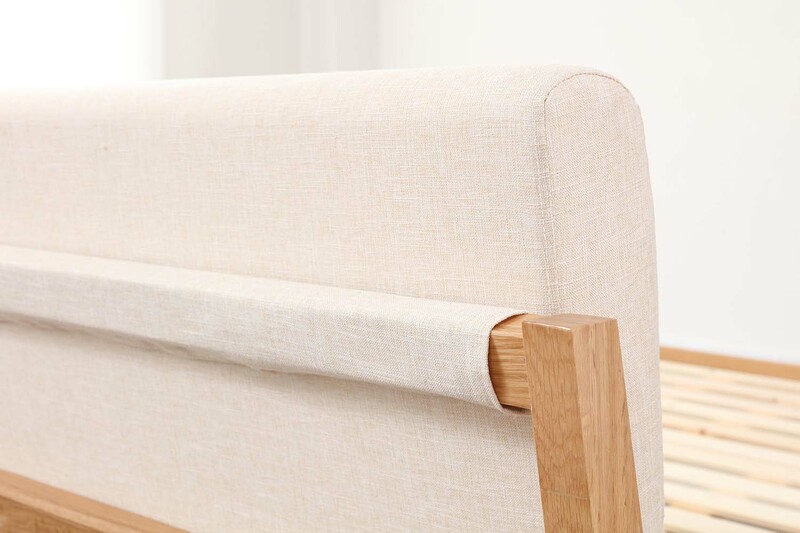 The highlight of the Nara is the beautiful natural wood grains and soft backrest made using high quality doll cotton and breathable linen fabric. Designed to stay clean. Cushion and cushion covers are easily detachable for a cleaning hygiene purposes. 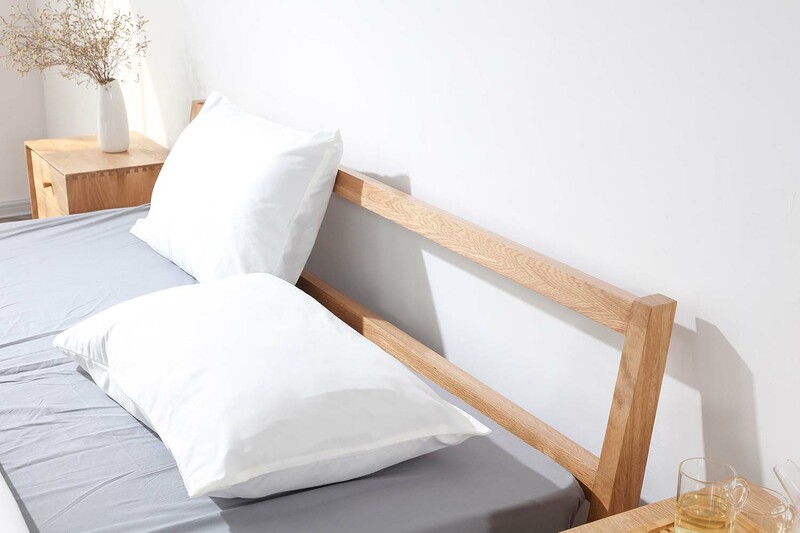 Sleep cooler as our thick solid New Zealand wooden slates allow airflow into the mattress. 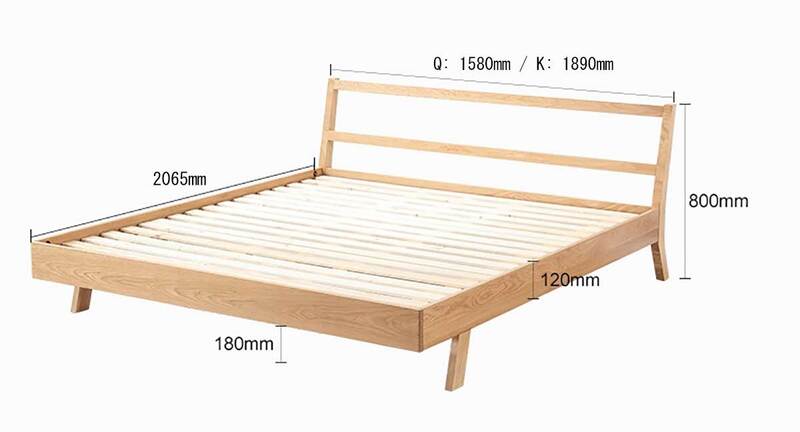 Enjoy a quieter sleep with our noise proof felt and the ultra sturdy structure of our solid wood frame. 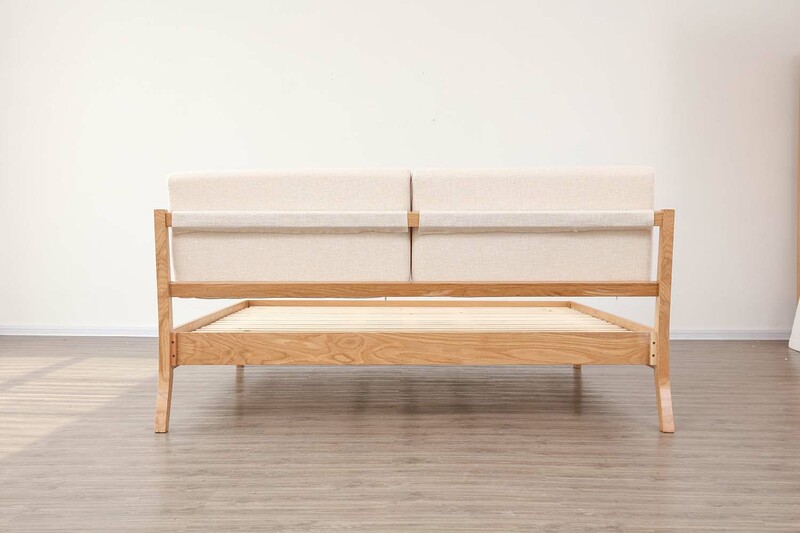 Use it with or without the headboard cushions. 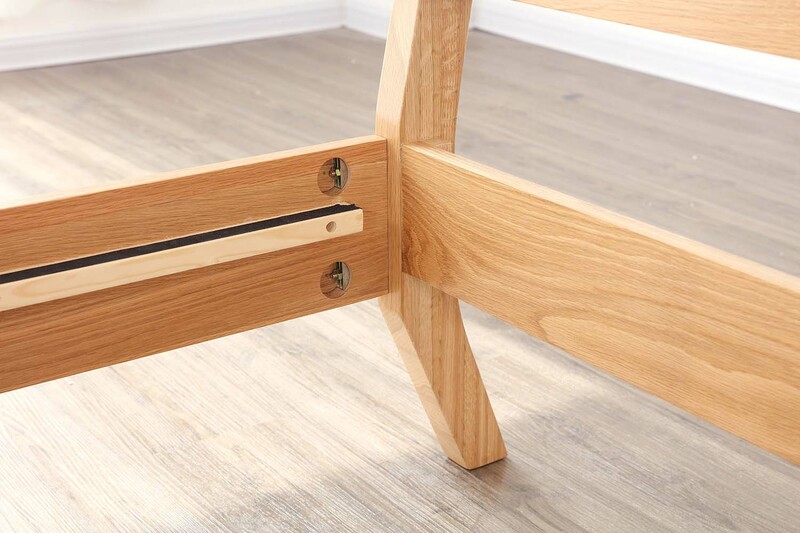 Strong and sturdy solid oak wood legs. 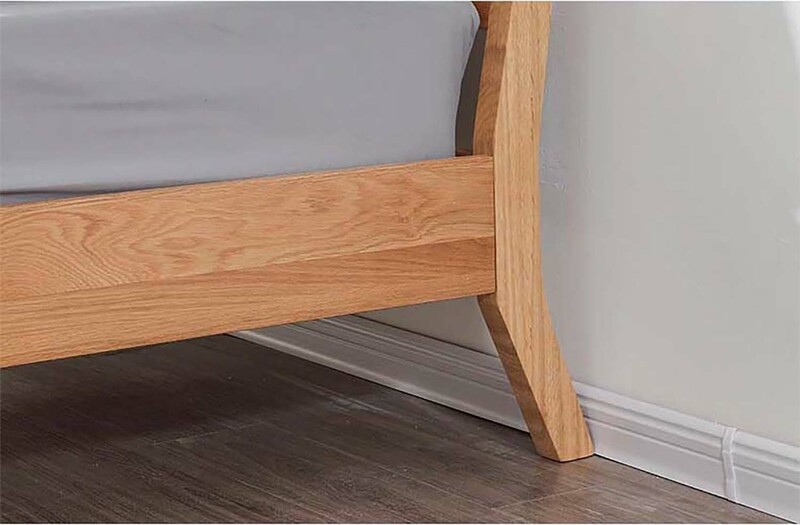 The bed frame design is great with clean and simple lines that make it a perfect match on the bedroom. The assembly is of good quality oak wood. The headboard cushions add to the comfort. The bed was delivered as per agreed schedule. The entire process from ordering to delivery is smooth. Ninja Van delivery is very professional and came on time. The bed is vry worth the price.